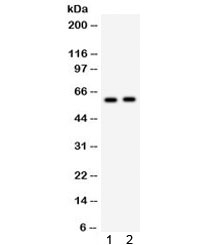 CYP7A1 antibody LS-C490596 is an unconjugated rabbit polyclonal antibody to CYP7A1 from human, mouse and rat. Validated for WB. CYP7A1 antibody was raised against amino acids 301-504 of human CYP7A1 were used as the immunogen for the CYP7A1 antibody.